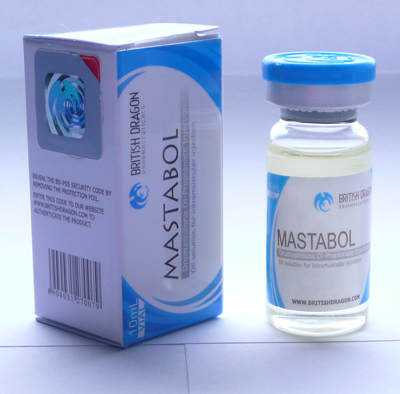 Masteron is perhaps one of the more exotic androgenic / anabolic steroids that may be used by an athlete. 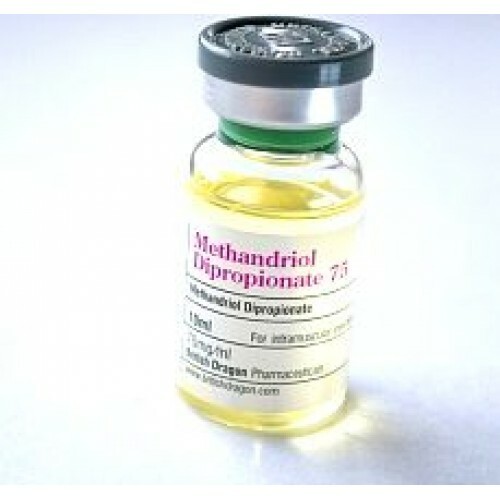 Originally it was developed and used as an anti-estrogen for the treatment of breast cancer. It was largely used in combination with the SERM (Selective Estrogen Receptor Modulator) Tamoxifen (Nolvadex) for the treatment of breast cancer, and did give a significant decrease in estrogen levels in women undergoing such treatment. It is not much used these days for such purposes, for varying reasons, however for many athletes including competitive bodybuilders in particular, Masteron remains a rather unsung favourite of AS medicines. The fact that Masteron was being used as an anti-estrogen goes to suggest quite a lot about some properties Masteron 100 possesses. Masteron is a derivative of DHT (dihydrotestosterone) and does not convert to estrogen through means of aromatisation. It is thought that the anti-estrogenic properties of Masteron may be in part to do with either an inhibition in some way of the aromatase enzyme or an interaction with estrogen itself in a way which blocks receptor binding of the estrogen. 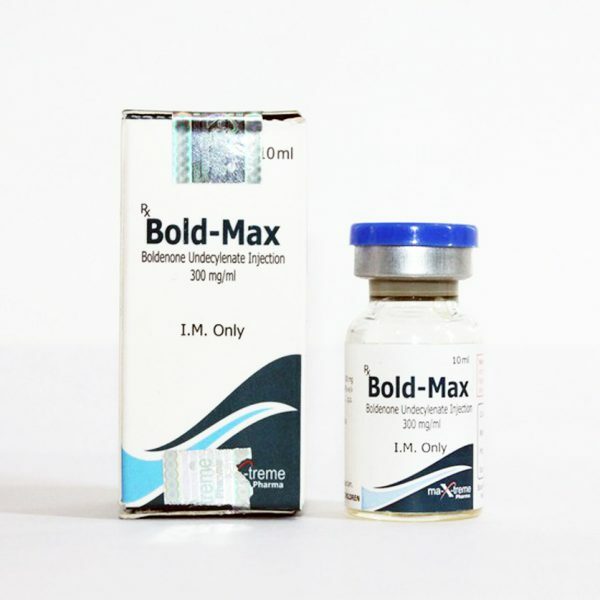 Either way, this would put Masteron 100 as a useful tool for the AS user who uses compounds that convert to estrogen (which most AS users do, considering testosterone is the main basis of most cycles). By inhibiting the aromatase enzyme, Masteron would be in effect blocking the conversion of free testosterone to estrogen by the aromatisation pathway. This would not only serve to marginally increase the amounts of active free testosterone in circulation, but it would also negate the side-effects that result from high levels of estrogen due to aromatisation. Such side effects include the development of gynecomastia and water retention/bloating. Conversely, if Masteron actually blocks the binding of estrogen to the estrogen receptor (ER) in some way, although aromatisation of testosterone may occur, its effects would be limited due to the inability of the estrogen to bind to the ER. Thus through this mechanism, the effects of excess estrogen production through aromatisation would also be limited by use of this steroid. Although Masteron contains such anti-estrogenic properties, it also (being a DHT derivative) has anabolic and androgenic properties. Although in theory and on paper it may be seen to be not a very strong androgen, in fact Masteron 100 does give higher androgenic effects than one may expect. The use of Masteron, as it is an AAS, will shut down natural testosterone production and so despite having anti-estrogenic effects again, one must not think that Masteron 100 could be used as an option in post cycle therapy as it will inhibit recovery. Due to the effects of Masteron on estrogen related side effects, Masteron is a very useful tool (especially in competitive bodybuilding) when cutting. As higher levels of estrogen result in water retention, Masteron inhibits water retention, and many users claim that their muscles feel very full and tight on Masteron, with it giving them amazing muscle pumps in the gym. Use of Masteron (in combination with other appropriate meds) at low body fat levels results in the user seeing fine detail of the muscles being accentuated, such as striations and the fine details of the muscle. Masteron helps draw out the water from between the skin and the muscle giving this very cut look (at low body fat levels). Not many other AS medicines can give such effects on muscle detail as those seen with Masteron. Despite these effects of this steroid, it is a rather weak AS in itself. One would hardly benefit at all from use of Masteron 100 on its own, and furthermore use of Masteron alone may result in loss of libido due to shutdown of the body’s natural testosterone production. 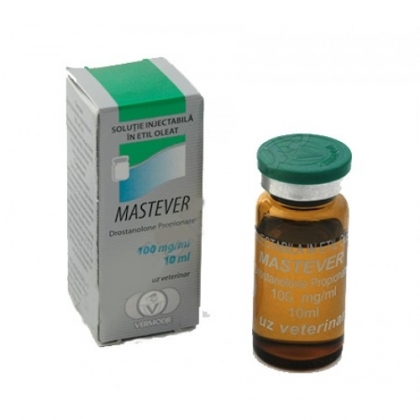 For these reasons, it is always recommended to stack Masteron 100 with other steroids. It is said by many that using Masteron is a waste when the user has a body fat percentage higher than 10-12%. I can understand the reasoning, and the user must understand that at higher body fat levels the detail to the muscle will not be seen in such a way as described, however I do not see it as a waste due to its anti-estrogenic properties. Such properties may allow one to not use other ancillaries on cycle that would have other undesirable side effects, and in addition Masteron may work in a synergistic fashion with other AS medicines to amplify their effects (for example with testosterone as described above). Masteron would however not be recommended for beginner use as it is not needed at this starting out level. Briefly however, the side effects that may occur with use of Masteron include hair loss (if prone to male pattern baldness), aggression and acne. If a user does experience acne with other androgens such as testosterone, then it is a real possibility that they may experience it with the use of Masteron 100. I know of people who experience only a few spots with the use of testosterone however when using Masteron they experience many more spots. On the other hand, there are users who seem to experience less spots on Masteron than they do on Trenbolone.